Proving GROUNDs - Stähle’s Website! 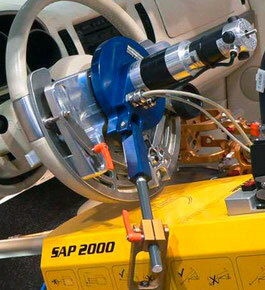 Safety assessments like EuroNCAP and other domestic or international regulations include attempts to benchmark the effectiveness of Advanced Driver Assistant Systems (ADAS) such as Forward Collision Warning, Autonomous Emergency Braking (AEB) Car-to-Car / Vulnerable Road Users, Lane Departure Warning or Lane Keeping Assistance (LSS). 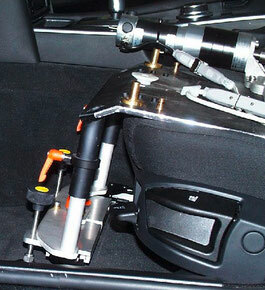 Due to strict criteria, it is necessary to constantly observe, control and ensure boundary conditions for vehicle longitudinal and transverse guidance during the test procedure, thereby ensuring the reproducibility and comparability of the tests. This circumstance directly implies the use of driving robots, which have a much finer control capacity with respect to the driver. As an example, the observance of the test speed in a tolerance range of ± 0.5 km / h or the tolerance range of the transverse deviation to the driving trajectory of ± 5 cm. 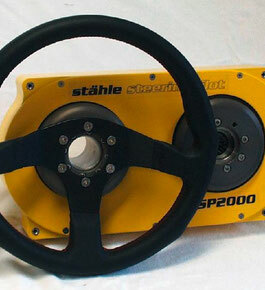 STÄHLE GmbH offers robotics including steering, throttle and brake actuators as well as controllers and software, based on our decades of experience in the field of automated control on chassis dynamometers. 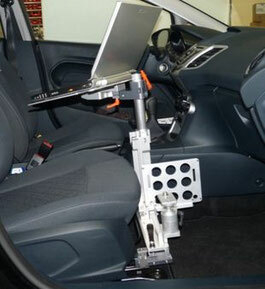 STÄHLE GmbH offers different solutions for cars and trucks, for driverless or hybrid operation. 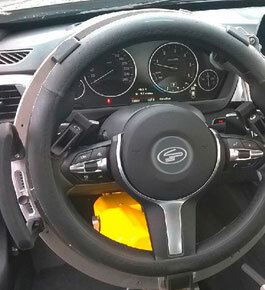 The common denominator is the quick installation without vehicle modification as well as the guaranteed accuracy thanks to our sturdy design. STÄHLE GmbH solutions are designed for universal applications and global requirements. 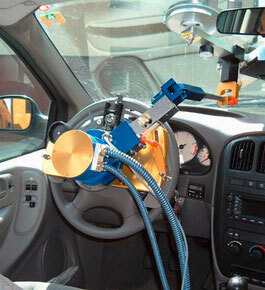 Our actuators and its user-friendly software interface are ready for any kind of vehicle dynamics testing such as Fishhook or J-Turn. 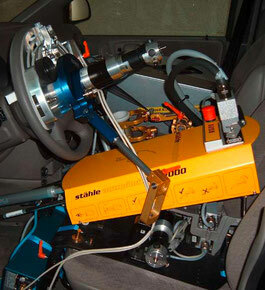 Furthermore STÄHLE GmbH installations could also be used for a mise-use or roll-over test when conditions tend to be critical for a human driver. 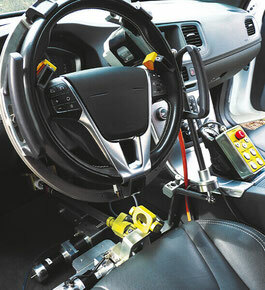 Moreover STÄHLE GmbH is a proud member of the Driveability Testing Alliance (dta.group) which is a competence partnership consisting of four companies (Auto Mobil Research Dresden (AMFD), GeneSys Elektronik, Dewetron & STÄHLE GmbH). The partnership combines know-hows to deliver a complete plug-and-play solution with all the hardware and software components required for extensive test scenarios and associated evaluation schemes in an efficiently and repeatedly reliable process.